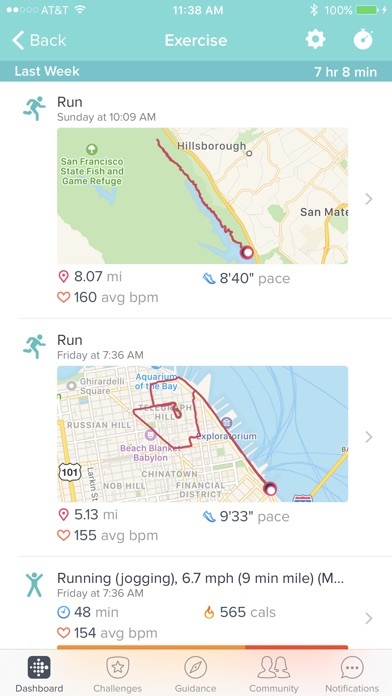 Syncs Fitbit devices with website for fitness goal progress and analysis. Tracks weight, meals, water intake, physical activity and sleep. App instability has been a recent problem, especially after updates. This can be very frustrating when trying to maintain routine and momentum. 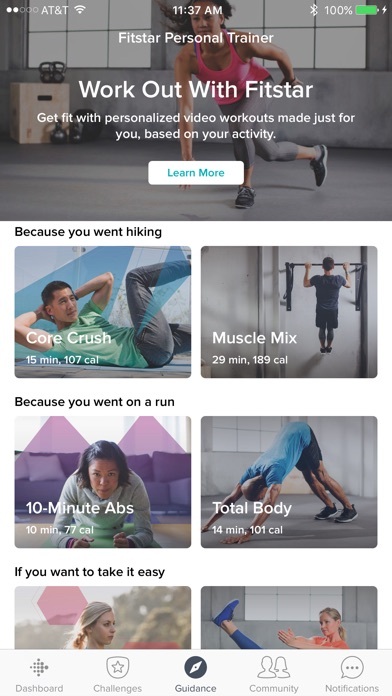 Fitbit is actually better known as the maker of fitness gadgets rather than for their app. 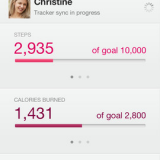 Several other fitness apps mentioned on Goodtaps also integrate with Fitbit devices. Fitbit makes several gadgets that help with exercise, dieting, even sleep management. 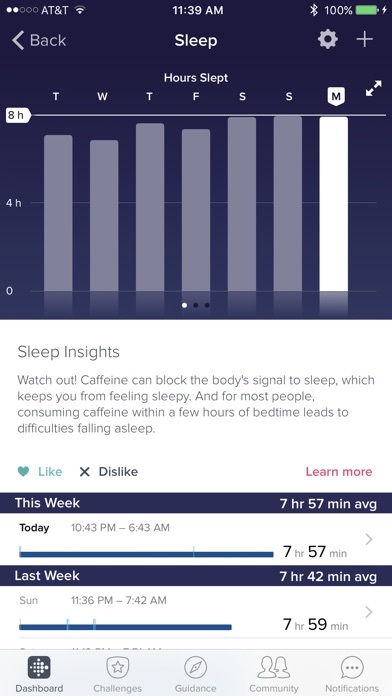 The app ties all these gadgets together with the website, Fitbit.com, keeping everything in sync. The app allows you to track weight, meals, physical activity and sleep for a complete picture of how daily choices affect your weight loss and overall health. 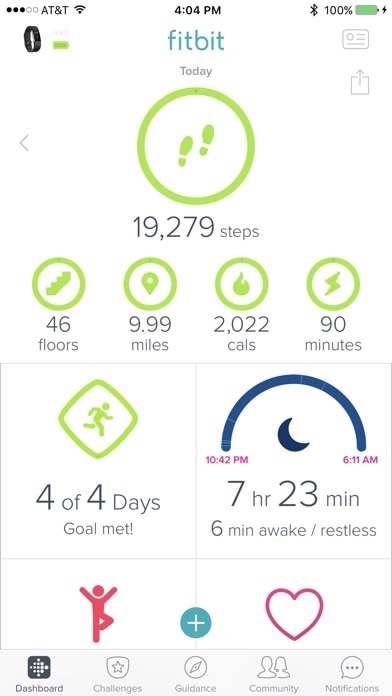 Even if you already use other apps that connect to Fitbit devices that provide the same features, having the official Fitbit app specifically designed for these gadgets, which also syncs everything with the website, can be very beneficial. 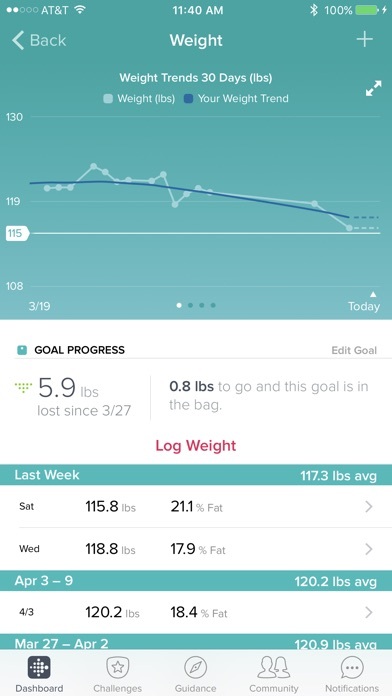 The app can also be used to record your weight loss activities without connecting to any devices. Though there are several apps in this guide that provide similar functionality, you may prefer Fitbit’s interface for logging activities and reviewing progress toward goals. 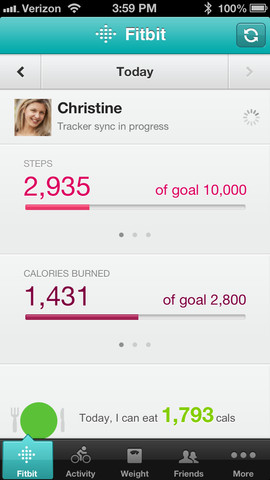 The Fitbit app is free for Apple iOS devices. Fitbit devices are available at various retailers including Amazon.com.